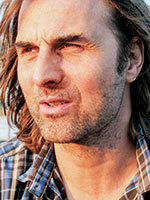 Born in 1969, this German-Swiss director, screenwriter and producer is one of Hollywood’s most versatile filmmakers. His breakthrough came in 2001 with MONSTER’S BALL. This was followed by several successful films, including A QUANTUM OF SOLACE and the 7-times Oscar-nominated FINDING NEVERLAND. His latest production WORLD WAR Z grossed more than 500 million dollars worldwide. Born in New Zealand and raised in Australia, director and screenwriter Andrew Dominik graduated from Melbourne’s Swinburne Film School. He gave his multi-award winning directorial debut in 2000 with CHOPPER. Seven years later, he directed his two-times Oscar-nominated western THE ASSASSINATION OF JESSE JAMES (BY THE COWARD ROBERT FORD) with Brad Pitt in the lead role. Dominik and Pitt renewed their collaboration in 2012 with the film KILLING THEM SOFTLY, which was invited to compete at Cannes. Thomas Imbach was born 1962 in Luzern. 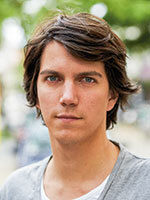 He studied history and philosophy in Basel before turning his hand to filmmaking. Imbach founded his own production company, Bachim Film, in 1987. 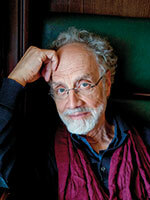 He is renowned for his unconventional films, a unique blend of feature and documentary. Imbach founded Okofilm Productions together with Andrea Staka in 2007. His latest feature film MARY QUEEN OF SCOTS celebrated its premiere in Locarno and Toronto in 2013. Born in New York in 1960, Melissa Leo studied acting at the State University of New York and the Mount View Theatre School in London. She has since appeared in over 80 film and TV productions. She has received countess awards, including a Golden Globe and an Oscar for Best Supporting Actress, for her roles in such films as 21 GRAMS (2003), FROZEN RIVER (2008) and THE FIGHTER (2010). She can be seen at the ZFF playing opposite Hugh Jackman in PRISONERS. At just 30-years-old, producer Guneet Monga has already stirred up the Indian film landscape. As CEO of Anurag Kashyap Films and co-founder of Sikhya Entertainment, she is responsible for numerous internationally successful Indian indie productions, including the Oscar-nominated short KAVI and the thriller GANGS OF WASSEYPUR (1&2). 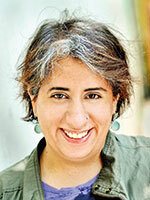 Premiered in Cannes, her latest production DABBA (The Lunchbox) will be screened in the ZFF’s ‘Gala Premieres’ section. 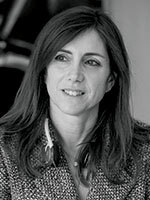 Born in New York in 1963, producer Stacey Sher graduated with a master’s from the University of Southern California in 1985. Together with Michael Shamberg, she currently runs the Los Angeles-based production company Double Feature Films, which is responsible for such successful productions as OUT OF SIGHT (1998), ERIN BROCKOVICH (2000), CONTAGION (2011) and DJANGO UNCHAINED (2012). This committed filmmaker has garnered numerous awards. Elizabeth Radshaw began her career in the film industry in 2005 as the director of the Rooftop Short Film Festival in Montreal. Today, Radshaw concentrates on the financing of documentary films, for which, among other things, she has created the crowd-funding site ‘Doc Ignite’. She is also the director of the Toronto Documentary Forum and curates conferences, workshops and the film-financing events Hot Docs Forum and Hot Docs Deal Maker at the Hot Docs Film Festival in Toronto. Ilian Metev was born 1981 in Sofia. He began a career as a concert violinist before discovering his passion for film. He studied visual arts in London and later graduated with a master’s in documentary filmmaking from Bulgaria’s film school. Metev’s documentary feature debut SOFIA’S LAST AMBULANCE premiered in the “Semaine de la Critique” section at Cannes, won the main award at the Karlovy Vary Film Festival and screened in the ZFF’s International Documentary Film Competition. 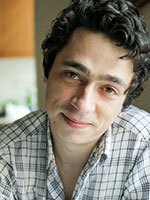 The young filmmaker currently commutes between Sofia and Oxford. Eugene Panji was born in Indonesia and graduated in 1998 with a Bachelor in Fine Arts from the Jakarta Institute of Arts. His career in the film industry began with the production of music videos and ad films. Ten years later, Panji took the leap into feature film with CITA CITAKU SETINGGI TANAH. The film was made using an amateur crew and cast within the framework of a creative social responsibility programme in Jakarta. Panji is also regularly involved in workshops at universities and other institutions. Recife born filmmaker Gabriel Mascaro has directed four feature length documentaries (KFZ-1348 (2008), HIGH RISE (2009), DEFIANT BRASILIA (2010) and DOMESTICA (2012) that have circulated in major festivals around the world, such as IDFA, Rotterdam, BAFICI and Visions du Réel. His work reflects on the negotiation of power relationships in their most diverse forms. Spanning cinema and the visual arts, his work has also been shown at Contemporary Art Museums. 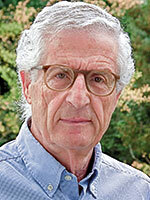 Mascaro is a founder oft the production company Desvia. He is currently working on his first narrative feature film project. 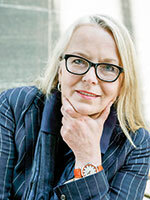 Born 1965 in Solingen, Veronica Ferres studied German language sciences, psychology and dramatics before celebrating her debut performance in 1985 at the Bavarian State Theatre. Her breakthrough as a film actress came in 1992 with Helmut Dietl’s Oscar-nominated satire SCHTONK!, which led to engagements in Hollywood and France. Ferres has appeared in numerous theatre, TV and cinema productions and has received various awards for her acting. Her best known cinema productions include ROSSINI (1996), KLIMT (2006) and DAS LEBEN IST ZU LANG (2010). Jochen Laube was born 1978 in Ludwigsburg. Following completion of his pre-university education, he studied production at the film academy in Baden-Württemberg, graduating in 2005. 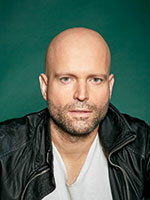 In 2006, he founded the sommerhaus filmproduktionen production company, with which he achieved such films as NOVEMBERKIND, the documentary film SONBOL and DIE HAUSHALTSHILFE, which won the German Short Film Award’s Lola. He has worked as a producer at teamWorx Television & Film GmbH since 2008, where he was responsible for DAS LIED IN MIR, which won the ZFF’s Golden Eye in the German-Language Feature Film Competition section in 2010. With EUGEN HEISST WOHLGEBOREN and KONFRONTATION etc., this Zurich-born, multi-talented filmmaker was an exponent of the ‚new Swiss film’ movement throughout the 60s and 70s. His 1978 film DIE SCHWEIZERMACHER, a satirical look at the Swiss naturalisation procedure, is one of the most successful Swiss films to date. He was last at the ZFF with his film URSULA – LEBEN IM ANDERSWO (2011). Rolf Lyssy received the Swiss Film Award’s ‚Quartz’ prize for his life’s work in 2012. 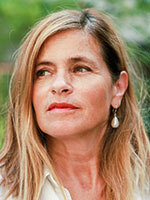 Born 1957 in Berlin, Manuela Stehr studied law before becoming a freelance film producer. She has since been responsible for numerous award-winning films, including HEAVEN (Tom Tykwer, 2002), ALLES AUF ZUCKER (2005, director: Dani Levy) and DER ROTE KAKADU (Dominik Graf, 2006). From 1992 until 1999, she ran the North-Rhine-Westphalia film foundation’s production funding department. From 2000 until 2009, she was the co-managing director of X Filme Creative Pool GmbH, and has been chairwoman of X Verleih AG since 2009. 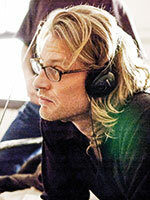 Stehr has also been the head of film production at the Hamburg Media School since October 2005. Born 1941 in Winterthur, director Markus Imhoof has been responsible for several of the most important productions in Swiss film history, including the Oscar-nominated feature film DAS BOOT IST VOLL. His large collection of accolades includes the Swiss Film Award, the German Film Award and a Berlinale Silver Bear. His documentary film MORE THAN HONEY went on to become the most successful Swiss film of 2012. Sabine Gisiger was born in Zurich in 1959. Following her studies and dissertation in history, she went on to train as a TV journalist with Swiss national television. She has worked as a freelance documentary filmmaker since 1990, directing numerous award-winning cinema documentary films. 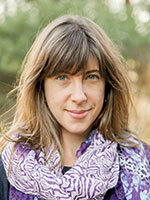 In 2000, she attracted international attention and won the Swiss Film Award with her film DO IT. Gisiger has lectured at Zurich University of the Arts and Lucerne University of Applied Sciences and Arts in the field of documentary film since 2002. The Swiss Films Critic's Asscociation (SVFJ) Critics’ Prize will be awarded to one debut work from the two feature film competition sections.